If you read my last post, you would see that we just made our very own homemade almond milk! We wanted to do something creative with our almond milk instead of just drinking it, so we figured we would make almond milk ice cream! We got an ice cream maker from my mom for our wedding and we still hadn’t had an opportunity to use it. Well today was the day. We added some chocolate cocoa, sugar, and two bananas. Our ice cream was healthy! 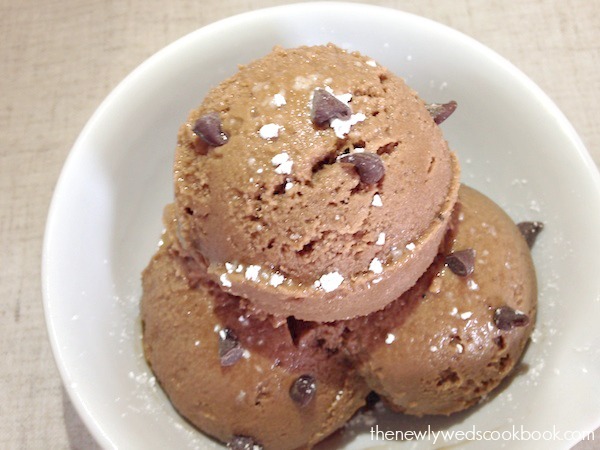 Healthy ice cream, no heavy cream added. Who would have thought?! 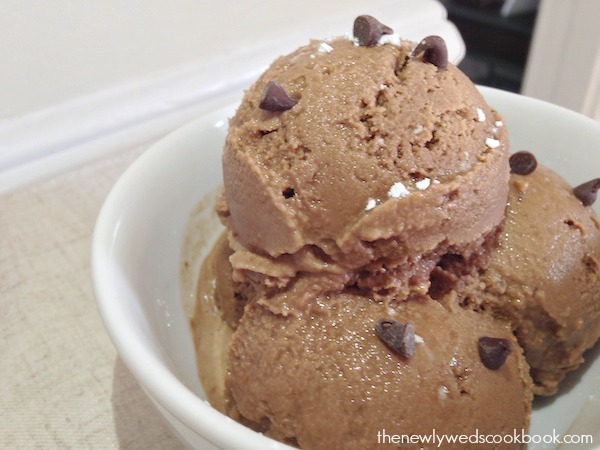 It was much easier than we had ever expected it would be to make ice cream. 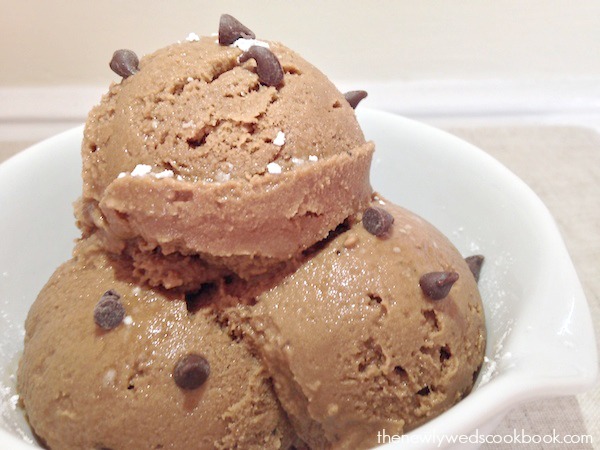 Have you made homemade ice cream before? What is your favorite flavor? 1. Whisk together 1/2 cup of almond milk, chocolate cocoa and sugar in a microwavable bowl for about 30-40 seconds. 2. In the Nutribullet, combine 1 cup of almond milk, 2 bananas, and the almond milk/cocoa/sugar mixture and blend for 10-13 seconds. 3. Place in an ice cream maker for 20 minutes. 4. Stick in the freezer for 45 minutes – 90 minutes. Yes, we would love that! I think Greg and Forrest are trying to nail down a date for the four of us to get together.